This week features an extremely talented field, with 56 of the top 100 golfers in the world including the new No. 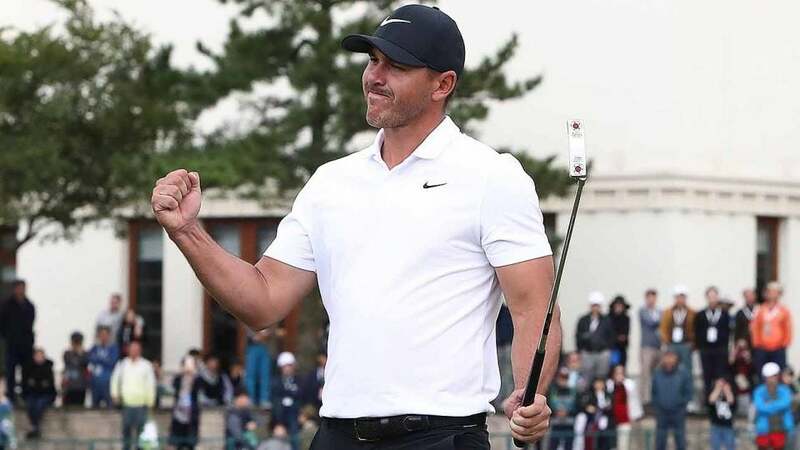 1 … The Favorite: Brooks Koepka (Odds: 10/1, DraftKings $11,000, FanDuel $12,600) Now that Koepka has accomplished what he set out to do, becoming No. 1 in the world, the next question is how long he can hold onto it. He’ll need another big finish this week while dodging a Justin Rose victory to keep the top spot. Koepka’s recent form is really out of this world. Since his second-place finish at the Fort Worth Invitational in May, he’s missed only one cut, and finshied outside the top 30 just once while racking up three wins, including two majors. There's absolutely no reason to leave him out of your lineups now. Going Streaking: Players entering this week in the great form Tony Finau (Odds: 33/1, DraftKings 9,900, FanDuel $10,800) He may be a boring pick for some, but boring sometimes works. His salary is $10k in a no-cut event where bombers have had some success. He may be highly owned in cash games, but who cares? Find your variance with other golfers. With 10 top 25s on the year, and a strong finish in what feels like every big tournament, it’s only a matter of time before Finau gets a win. Maybe this is the week. Eddie Pepperell (Odds: 66/1, DraftKings $7,300, FanDuel $8,600) He’s an entertaining Twitter follow, but he’s also quickly climbing the ranks. He’s earned three top 10s in his last four starts, including a win in his last start at the Alfred Dunhill Links Championship. He available at a very reasonable price. Julian Suri (Odds: 120/1, DraftKings $7,000, FanDuel $8,400) Have to admit I’m a little bummed that Suri failed to earn his PGA Tour card at the Web.com finals, where he placed outside the top 25. I think he could be a rising star. After that disappointment he returned to the European tour where he’s found much more success, and again, seems to be finding his groove. He’s gone 21st, 5th in his last two starts, and at this discounted price is worth a flyer. Mulligans: A player who has struggled but expects to play better Adam Bland (Odds: 300/1, DraftKings $6,000, FanDuel $7,000) Similar to Michael Kim, who we had in this spot last week, Bland won a Euro Tour event to earn a spot in this WGC tournament. But he’s missed three of his last four cuts and seems to be struggling with his game. Maybe a guaranteed paycheck at this no-cut event will help ease some tension. Where to play this fantasy Golf this week DraftKings: 1. $5 buy-in called “Tee To Green,” with a top prize of $30,000 and a guaranteed prize pool of $150,000. 2. $555 buy-in called “Signature Hole,” with a top prize of $20,000, and a guaranteed prize pool of $100,000. 3. $44 buy-in called “Club Twirl,” with a top prize of $10,000 and a guaranteed prize pool of $60,000. FanDuel: 1. $7 buy-in called “Eagle,” with a top prize of $4,000 and a guaranteed prize pool of $25,000. 2. $333 buy-in called “Monster,” with a top prize of $2,000 and a guaranteed prize pool of $4,000. These are just some of the many contests between the two sites. For a full breakdown of all contests and offerings check out the links in my bio. Good luck this week! Jason Rouslin is the founder of tourlevelfantasy.com. He has been playing golf for the last 20 years, betting on golf for the last five and writing about golf for the last two. Connect with him on twitter @dfsgolfer23 or check him out on the @rotogrinders live golf show on Tuesday’s @ 8 PM!